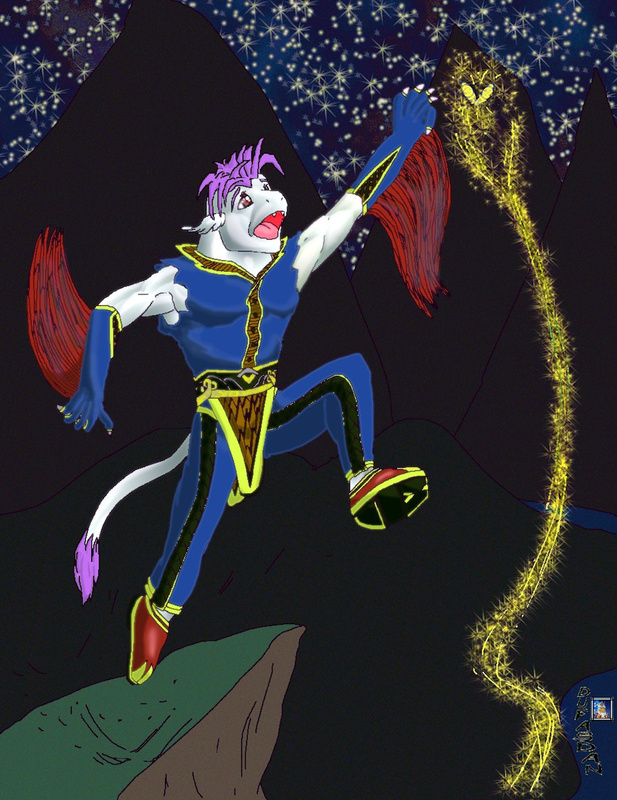 Originally Submitted to FurAffinity.net on Aug 17th, 2009 02:46 AM. Before it was transferred to Inkbunny it had 104 views and 9 favorites. The colored version of this https://www.furaffinity.net/view/1861591/ . I made this before the Manga version and only did that to see what it would look like and I found it was good enough to post as well. This was inked and colored in Photoshop. I tinkered with gradient shading and restricted myself from complex filters and patterns for an anime style. And since anime style is simple in nature, I really had to tone myself down. Plus I used bold and common colors to color it since that is relative to the style as well. LOL. ^\/^. I loved how it turned out and hope to do more of this style soon. I wish I had a pen and tablet since it takes longer to do everything with a mouse and a mouse is less expressive and accurate than a pen and tablet. LOL. ^\/^.